Growing up transgender in 1970s Argentina, Noelia Trujullo knew that just walking the streets in her long hair and a skirt could get her arrested, locked up and abused. Aged just 16, she was detained by police, who ordered her to strip and then mocked her. On other occasions she was held, sometimes for up to two months at a time, in police stations in Argentina’s eastern Santa Fe province. 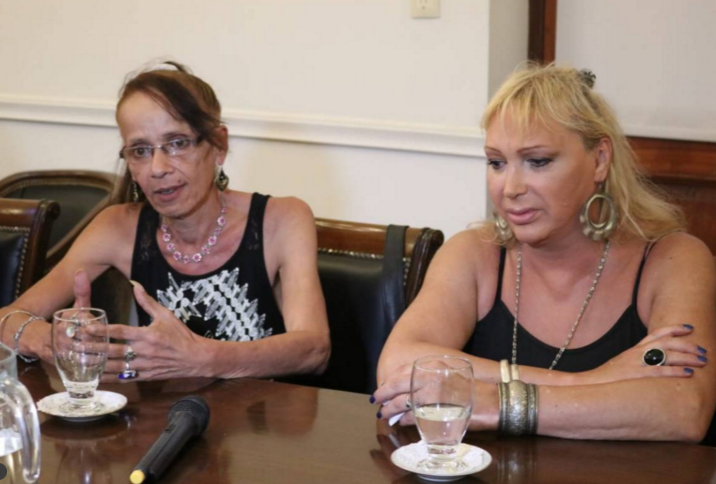 This week Trujullo, now 55, finally received a public apology, under a first-of-its-kind reparations scheme, set up by the Santa Fe province, for LGBT+ people who suffered during the 1976 to 1983 dictatorship – many of them transgender women. “We were considered criminals, sub-human, because we wore women’s clothes”, she told the Thomson Reuters Foundation. “You were made to feel worthless. It was the psychological violence that most affected me”. “We are lucky to live in a province that has taken the issue of our rights seriously. There’s political will”, Trujullo said. Victims receive a monthly pension of about $450 each as part of their compensation, and another 10 transgender women are set to receive compensation next year, said Esteban Paulon, the province’s deputy secretary for sexual diversity. “This historic reparation is unprecedented at the national level in Argentina and across Latin America. It provides some justice against so much persecution and pain”, Paulon said. “It not only recognizes the violence carried out by the state, gives a public apology, and economic reparation for part of the damage caused, but it also sends a powerful message to society about respecting trans people and their inclusion”. LGBT+ people were seen as rebelling against the ideals of a nuclear family, as advocated by the military regime and Catholic Church. “There was a special viciousness towards the LGBT community, and in particular trans people”, Paulon said. Other Latin American governments have also recognised that LGBT+ people have been targeted for their sexual orientation or activism, during times of conflict. “Prejudices against us are very difficult to get rid of. Trans people are still not given jobs, and are rejected at work”, Trujullo said. “But we can walk in the streets in peace”.